Two of the three go events at the IMSA Elite Mind Games ended Monday with Korean and Chinese victories, while the North American Men’s team and lone woman contender Sarah Yu 6d each took 5th place. In the course of the match, each of the three men players defeated a pro with Ryan Li 1p scoring a final round win against the young Japanese talent Mutsuura Yuta 2p. The men’s team, comprising Li, Jiang Mingjiu 7p and Eric Lui 1p, were winless in the first three matches of the five match round robin, losing to Korea (see team photo at right), Taiwan and China. Round four was against the European Go Federation team of Fan Hui 2p, Ali Jabarin 1p and Ilya Shikshin 1p, expected to be the main competition for North America. On board three, Lui beat Shikshin while on board two, after falling behind early on, Li scrapped hard and fought gallantly, but was unable to catch up with Jabarin. The match turned then on board one, where Jiang beat Hui, recently in the news for his October match against AlphaGo, in a hard fought half-point game. North America’s final day match against Japan could not have moved North America out of 5th but was the deciding factor in Japan or Taiwan taking 3rd place in the match. Japan, needing the win to stay on the medal stand, won by 2-1. Although Li beat the strong 16-year-old Mutsuura, Lui lost to Toramaru Shibano 2p, another 16-year-old with a strong record in his two years of pro play. Jiang meanwhile, lost to Hirata Tomoya 7p, although both a disappointed Jiang and some observers in the room thought he had a chance to win. Li’s win was in line with the opinion expressed by the Asian team captains present, that the young AGA and EGF pros had improved significantly, approaching in strength a new Chinese pro and matching weaker Japanese pros. They mainly need more opportunities for serious tournament play in order to improve. Korea effectively won the tournament by beating main rival China by 2-1 in round two. Both were undefeated against the other teams. Japan staked its claim on third place against main rival Taiwan in round one when Mutsuura and Shibano prevailed in their games. In the women’s individual tournament, a 12-player double elimination, Sarah Yu lost in round one to Korea’s Oh Yujin 2p, but then won against Rita Pocsai 4d of Hungary and then Elvina Kalsberg 5d to guarantee at least a fifth place finish. Her round four match against Yu Zhiying 5p went beautifully until the players were in byo yomi and the Chinese pro took control of the game. 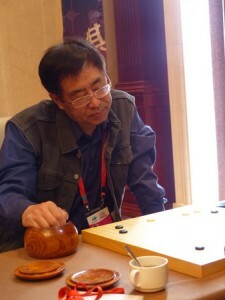 Yu Zhiying went on to win the tournament. Yu’s last game was against Cao Youyin 3p. Cao won, taking fourth. Joanne Missingham 7p of Taiwan was third and Choi Jeong 6p of Korea took second. A three-round pair go event started Tuesday, with Yu and Li facing off against Taiwanese teammates Missingham and Lin Li-Hsiang 6p. 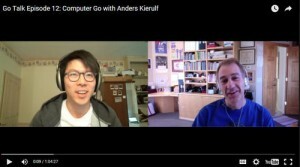 In his latest Go Talk video series, Kevin Hwang interviews SmartGo’s Anders Kierulf about AlphaGo, computer go, the origins of the SGF file, and more. His February 21 interview with Hajin Lee has interesting background information on organizing the Lee Sedol vs AlphaGo match. Click here to check out the entire Go Talk series. Do Computers Dream of Pizza? Inspired by the Seattle Go Club’s plans to host watching parties for the upcoming AlphaGo-Lee Sedol match, the AGA and its chapter rewards program are offering to cover up to $100 of “reasonable expenses” of AGA chapters’ AlphaGo-Lee Sedol challenge match viewing parties. A chapter must be current on dues and the food, non-alcoholic beverage or other expenses must be reasonable for the expected turnout (no single person viewing parties at steakhouses please) and you must send a picture or two and a few sentences about the party to the EJ at journal@usgo.org. The last requirement is that, before the party, you reach out to a local news outlet or two to mention the party and encourage them to come and report on this “local angle” on a historic event in the development of artificial intelligence. 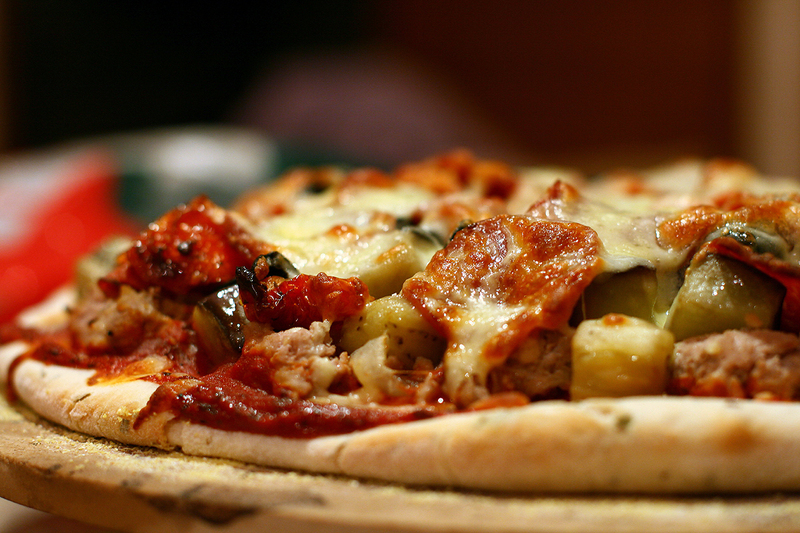 To receive reimbursement send smart phone photos of your receipts to rewards@usgo.org. This offer is separate from your chapter’s rewards balance and will not count against it. As a special free bonus for all E-Journal readers, Michael Redmond’s recent Oza game commentary against O Meien 9P appears here. Full AGA members get exciting commentaries like this every week. The game commentaries alone are worth the price of AGA membership . For youth memberships the deal is even better, just $10 a year! To sign up for the members edition, register with the AGA here . Michael gives a summary of this powerful game, “I have Black against O Meien 9P in this game. In a fight within White’s moyo, I was successful, up to a certain point…“. Despite being pushed to the loser’s bracket, Yu Zhiying 5P defeated Yu Jin 6D and Joanne Missingham 7P to make it into the women’s final at the IMSA Elite Mind Games, where she’ll play Choi Jeong 6P for the gold medal. In the men’s team division, North America defeated Europe 2 to 1, thanks to Jiang Mingjiu 7P’s (right) dramatic half-point victory over Fan Hui 2P and Eric Lui 1P’s win against Ilya Shikshin 1P. The match between North America and Europe attracted a lot of attention because for the first time, both teams were represented by professional players. Meanwhile, China defeated Japan 3-0, Korea defeated Chinese Taipei 2-0 and with just one round to go, the Korean team is leading with four wins while the Chinese team has three wins and one loss.